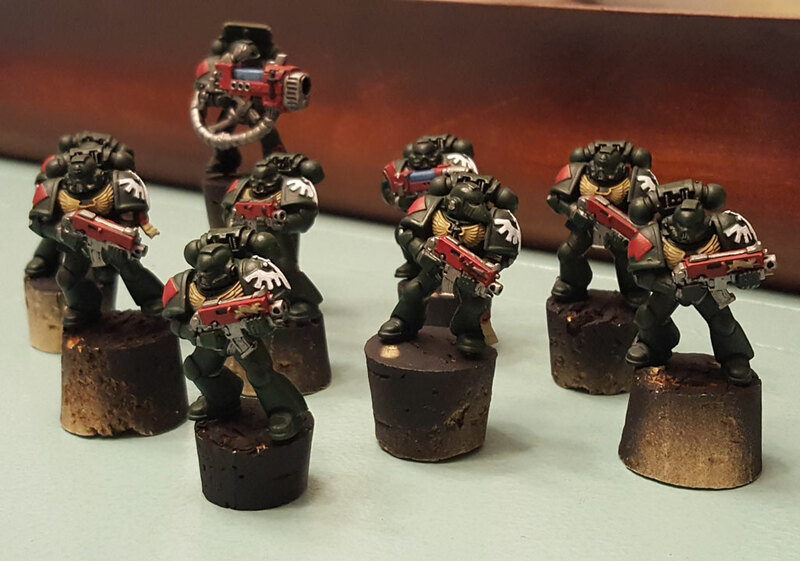 I’ve done a little more work on my Dark Angels. Going back over the greens, reds, and tans after doing the shading took a lot longer than I thought. I finally got it done a couple days ago and now have started the highlighting work. 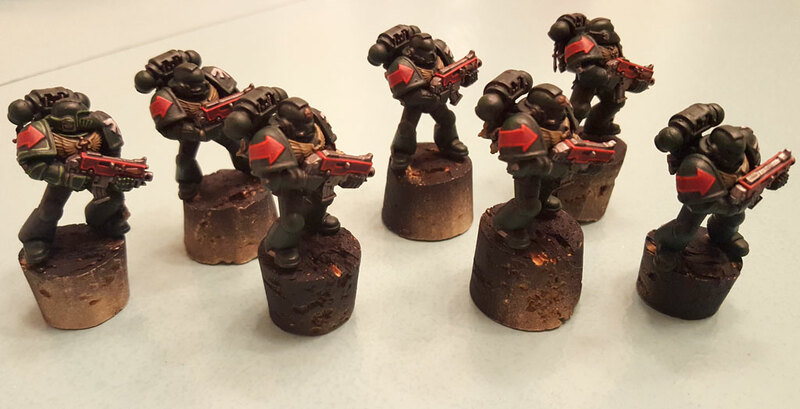 So far, I’ve only done the squad markings, boltgun casings, and the purity seal wax. That’s because I started doing the green armor highlight only to realize I had the wrong color green for it. 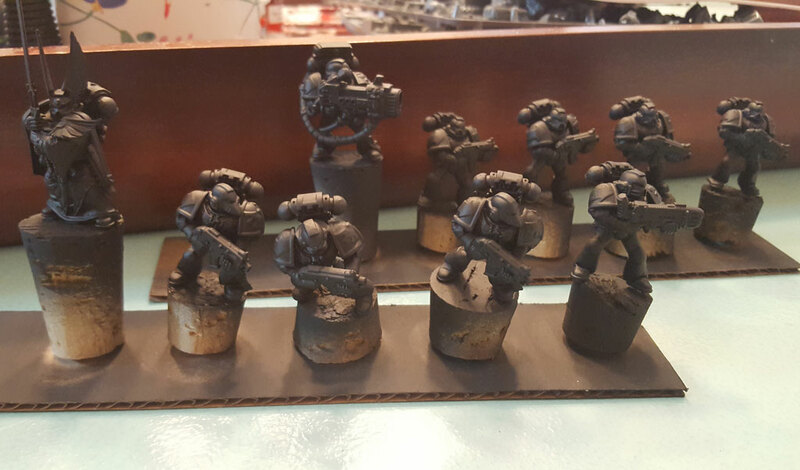 You can see this on the far left Dark Angel marine in the picture. I’ve been using the Vallejo Game Color paint for the armor, and instead of using Sick Green as the first highlight, I used Goblin Green. 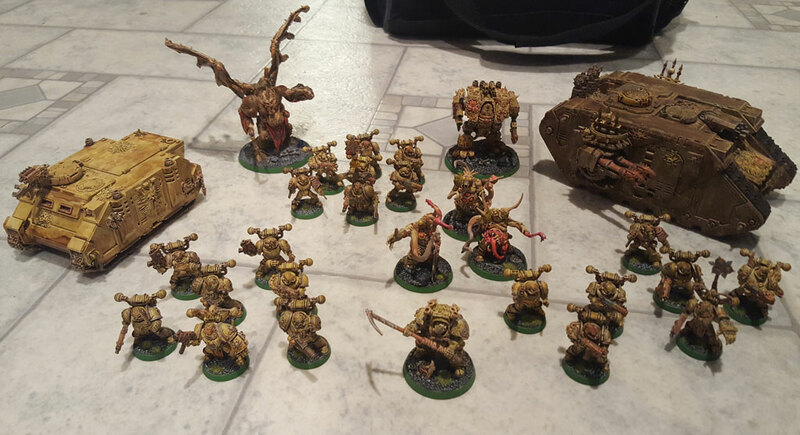 I’ve had to divide my free time over the last week between reading up on 8th edition and doing a little painting. I got the new Dark Imperium starter box, and I’ve enjoyed going through the contents. I’ll post up my thoughts on int at a later date. Even with the excitement of the new edition, I’ve tried not to neglect my painting. 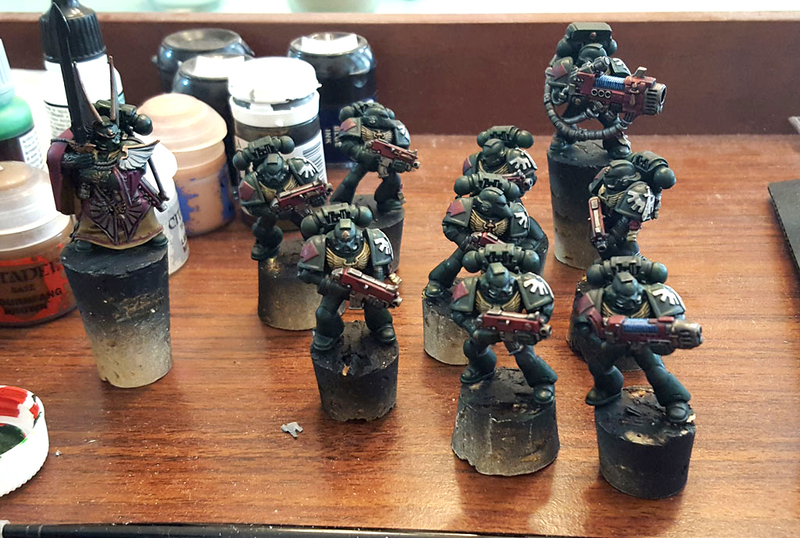 Work continues on my Dark Angels. I finished up the last of the base coat details on the squad and the company master. I then applied some shade in the form of Nuln Oil. The squad is now a bit darker than it was and I think the shade has really helped define all the details on these Dark Angel models.